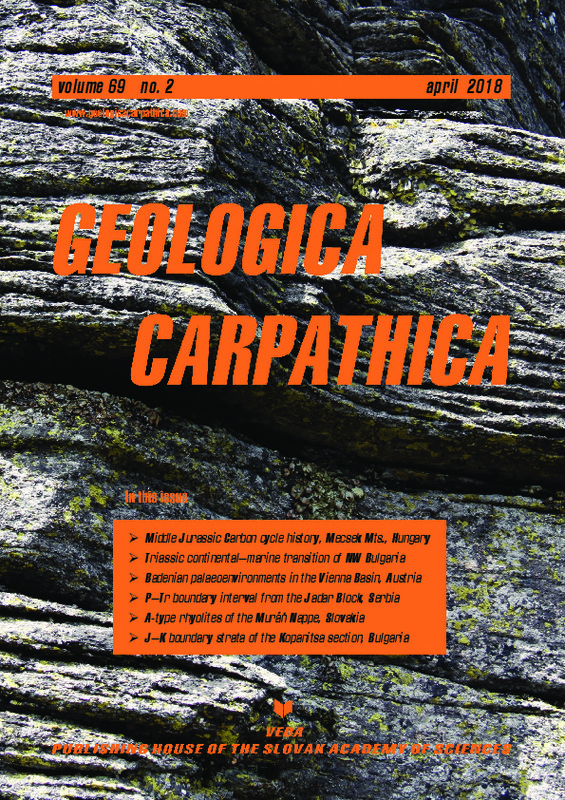 Abstract: Calcareous nannofossil, calpionellid and ammonite occurrences have been directly constrained across the Jurassic–Cretaceous boundary interval in the section of Kopanitsa, SW Bulgaria. This section reveals a continuous and expanded sedimentary record through the Upper Tithonian and Lower Berriasian, besides an excellent calcareous nannofossil and ammonite record. The topmost part of the NJT 16b and the base of NJT 17a nannofossil Subzones correspond to the ammonite Microcanthum/Transitorius Subzone. The major part of the NJT 17a Subzone equates to the Durangites spp. ammonite Zone, whereas the NJT 17b Subzone correlates to the lower part of the B. jacobi ammonite Zone. The NKT nannofossil Zone approximately corresponds to the upper part of the B. jacobi Zone and the NK-1 nannofossil Zone correlates at least to the lowest part of the T. occitanica Zone. The FOs of Nannoconus globulus minor, N. wintereri, N. kamptneri minor, N. steinmannii minor, N. kamptneri kamptneri and N. steinmannii steinmannii are confirmed as reliable bio-horizons for correlations in the Mediterranean Tethys area. The first occurrence of Nannoconus wintereri is regarded as an almost concomitant event with the first occurrence of Berriasella jacobi. We suggest it could be the most useful nannofossil proxy for approximating the base of the B. jacobi Zone. Rare, but relatively well preserved calpionellids and calcareous dinoflagellates together with microfacies analysis were used additionally for stratigraphical and palaeoenvironmental interpretations. The investigated sediments are typical for the steep slope of a steepened ramp, with accumulation of hemipelagic and gravitational deposits.